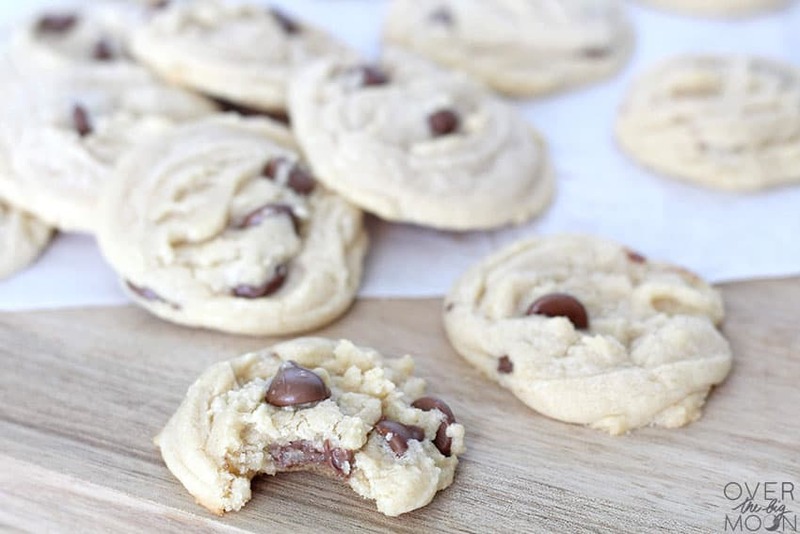 Our ALL TIME FAVORITE Chocolate Chip Cookie recipe! It is super soft, full of flavor and has the perfect consistency! 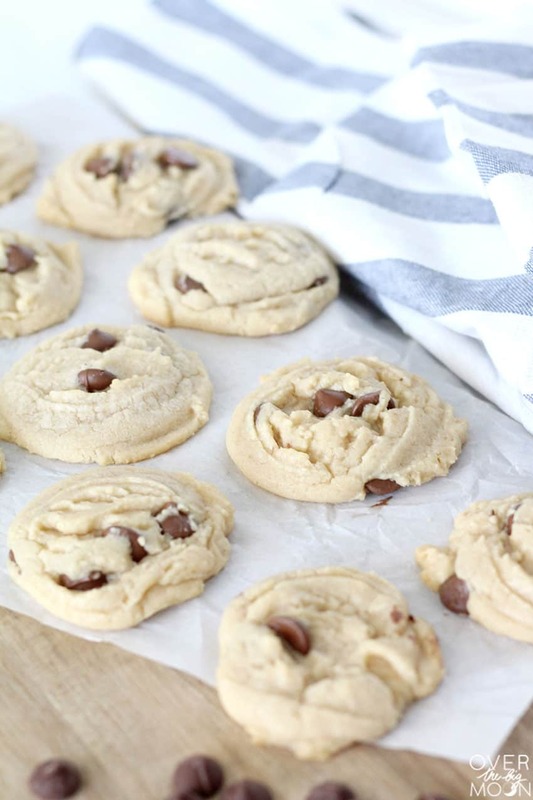 This is the last Chocolate Chip Cookie recipe that you’ll ever need! 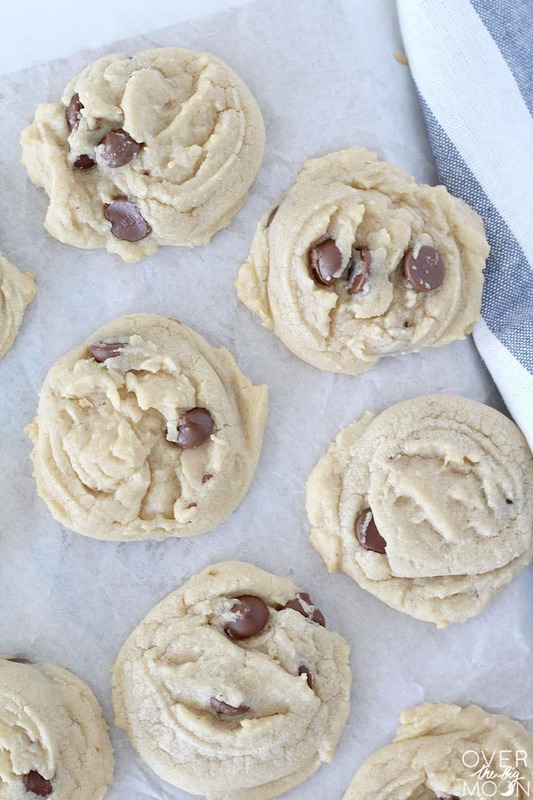 This will be the last chocolate chip cookie recipe you’ll ever need! I’ve been making these cookies for over 10 years and can’t find a recipe I like more! Do you have that recipe that you are always excited to take to a gathering, because you know people will comment on it or ask for the recipe? Well friends, for me, that is this recipe! I almost always get asked what I do different in my cookie recipe that makes it so soft! 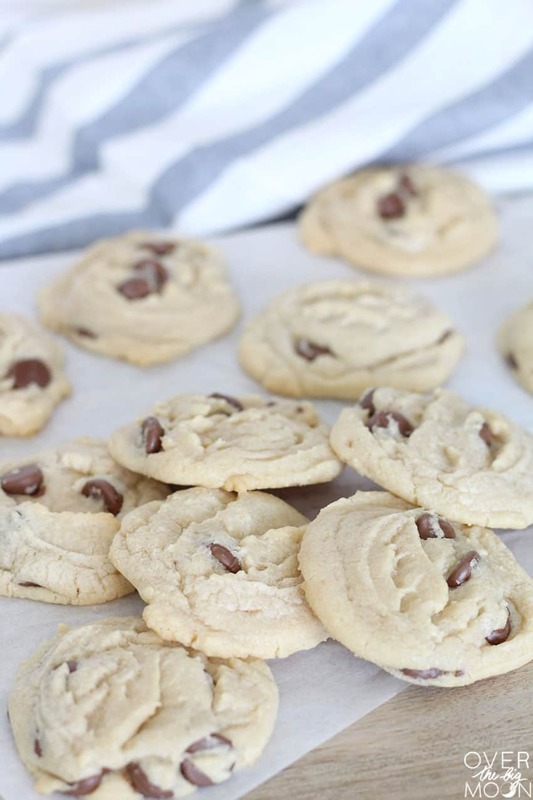 So, today I’ll be sharing with you my Super Soft Chocolate Chip Cookie Recipe! I got this recipe from a friend of mine and was instantly hooked! The first time I tried them was right after I had my first son and was in the hospital recovering from the unexpected c-section. I may have eaten a giant bag of them all by myself! I literally couldn’t stop – they tasted so good and were so soft! I think there are two key parts to the success of this recipe. The first is it uses Crisco vs Butter and the 2nd is using a cookie scoop!! If you don’t own a cookie scoop then you need to go fork out the $10 and buy one! It will change your cookie life! 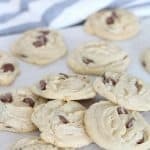 The softest chocolate chip cookies ever!! This is our ALL TIME FAVORITE cookie recipe and the last recipe for chocolate chip cookies you'll ever need! Cream together the 2 cups Crisco, 1 1/2 cup brown sugar (packed) and 1 1/2 cup sugar. Once combined, add 4 eggs and 2 tsp vanilla and mix. Add 2 tsp salt, 2 tsp baking soda and 2 cups flour to the above mixture and mix. Then add the remaining 3 1/2 cups slowly until all the flour is incorporated. If needed you can add an additional 1/4 cup flour to reach a good cookie consistency. Lastly, add the chocolate chips! 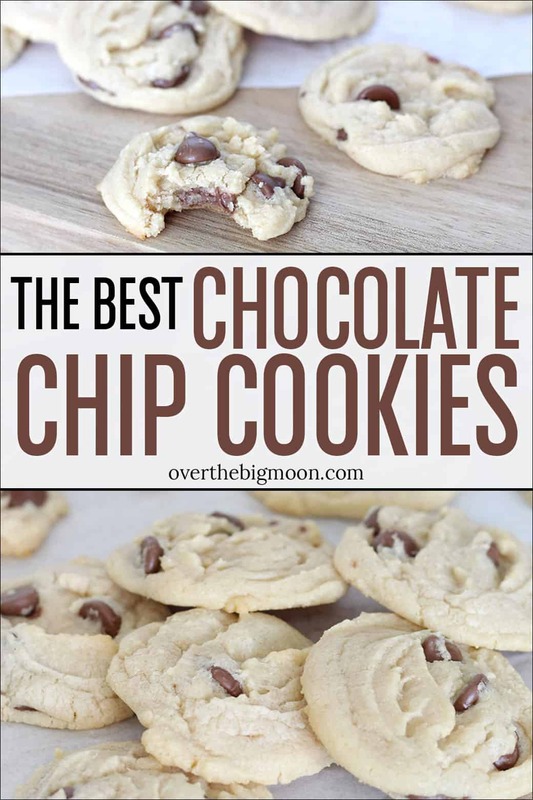 My favorite are Ghirardelli Milk Chocolate Chips! 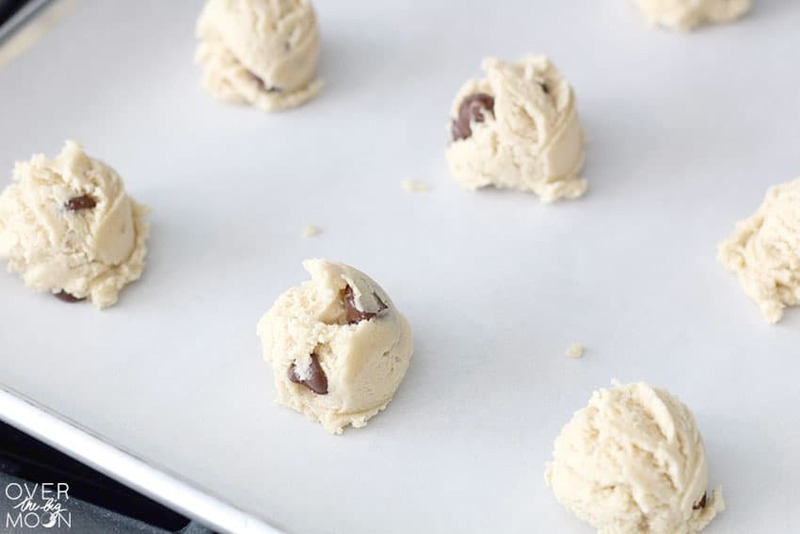 Line a cookie pan with parchment paper and use a cookie scoop to line the pan in cookies! Bake at 350 degrees for 7-10 minutes. Just until the edges are golden brown. The bake time totally varies depending on your altitude. So, on your first batch, watch closely. You want them still a little soft when you take them out, because they'll continue to finish cooking while they cook down on the pan! Now enjoy and share with your friends and family! Skor Bit Cookies – Toffee Filled Dough with a Melted Caramel Center! And I’d love it if you pinned the image below! Thanks friends! This is THE chocolate chip cookie recipe! Such a yummy cookie! So soft and chewy — just delicious! Honestly the best cookies ever!! !